What is a Eurorack Modular Synthesizer? Whether hardware or software, most synths out in the wild have a fixed architecture. This means that the manufacturer designed it with a set of components that interact with each other in a set way. Usually an oscillator section will feed into a filter section, which will then feed into an amplifier section, with a few modulation sources that can be applied to specific sections in specific ways. Modular synthesizers on the other hand, separate these components into individual modules, leaving it up to the user to arrange and connect them however they want to create their own unique synthesizer sounds and behaviours. A modular synthesizer needs to be patched with cables in order for the modules to communicate with each other. Eurorack is a format of modular synthesizer invented by Dieter Doepfer which is basically a miniaturized version of the original formats used in the 60s and 70s by Moog and Roland. 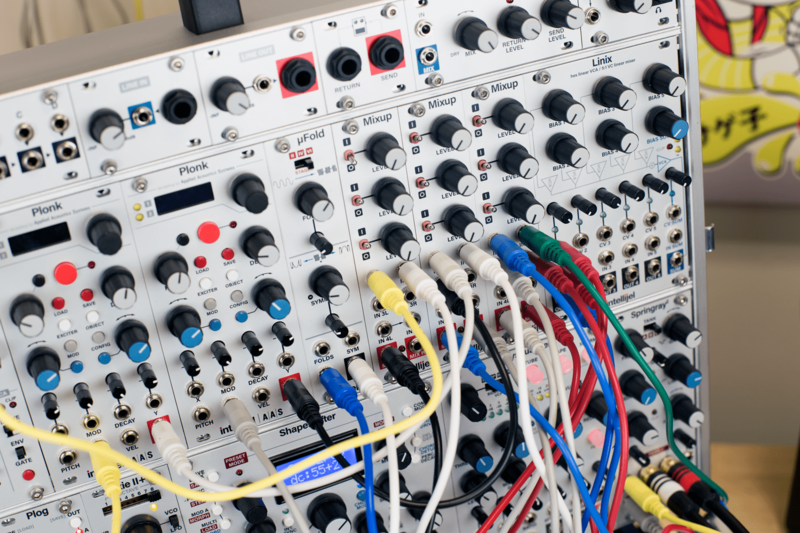 Eurorack is now the most popular format of modular synthesizer, and it has been adopted by a huge number of companies from all over the world, including Intellijel in Vancouver, Canada. This format means that users are able to purchase modules from several different companies to create their own custom, one of a kind synthesizer, which they can then patch together however they choose. There’s all kinds of modules out there, and some take their cue from classic technology, while others are on the cutting edge of audio manipulation. Or they’ll often blend the two ends of the spectrum, reimagining the tools of the past with the technology of today. In fact, calling them synthesizers isn’t entirely correct, because a Eurorack system can be an effects unit, a sequencer, a control processor, or whatever you can imagine. In order to allow these different modules to communicate with each other, modular synthesizers use a format called Control Voltage. This is an analog electrical signal ranging from negative 10 volts to positive 10 volts, sent over an ⅛” patch cable from a source to a destination that can be used to control, trigger or modulate various parameters. Analog Audio is an electrical representation of the sounds that we hear. Fluctuations between positive and negative voltages in turn cause a speaker to move back and forth in order to reproduce any sound imaginable. Digital Audio on the other hand, is composed of binary data, and needs to be converted into analog audio (an electrical signal) before it can be reproduced by a speaker. Digital audio is made up of tens of thousands of samples per second of the volume level of a sound. Once these samples are played back, and converted into analog audio, we can then hear the result. MIDI stands for Musical Instrument Digital Interface, and is a polyphonic digital control protocol. It can be sent between hosts and devices like keyboards, drum machines, sequencers and Digital Audio Workstations (DAWs) over 5-pin MIDI cables, or USB. A MIDI signal is able to transmit information regarding when a key is pressed and released, which key or keys are pressed, how hard they are pressed, and other things like the use of a sustain pedal, pitch bend and modulation wheels, and a number of other controls which are referred to as continuous control (CC) messages. Because MIDI is control data, it doesn’t sound like anything on its own, but it can be used to control a wide range of software and hardware instruments. Midi can be converted to CV in order to control a Eurorack synthesizer, but CV can also come from a number of other sources. The most common types of control voltages are Pitch, Gates, Envelopes, and LFOs. Eurorack uses a standard of 1 volt per octave (1V/OCT) to set the pitch of oscillators in order to generate musical notes. This means that the 12 notes of a scale are divided between the range of zero to one volt, and jumping from 1V to 2V will step up by an octave. Other formats use other standards that are not compatible without conversion. For example, the Korg MS20 uses a Hz/V format. Gates, Triggers, Clocks, and Square Waves are all signals that toggle between high and low voltage states. These types of signals are often used to trigger sounds or events in a system, synchronize timing of elements, or flip the state of something on or off. Gates differ from Trigs because they can be held open, or high, whereas Trigs provide a brief high state which otherwise remains off. Clocks and square waves are signals that repeatedly toggle between high and low states. If you’re familiar with fixed architecture synthesizers, you’ve probably come across envelopes and LFOs. An envelope is a contoured unipolar control voltage. Since they are unipolar, envelope signals will either be positive or negative. Typically they have controls for Attack Decay, Sustain, and Release (ADSR) and are commonly used to shape a sound once a triggering event occurs. For example, when a note is struck the attack determines whether the note will start abruptly or fade in, it then uses the decay rate to fade to the sustain level, and once the note stops playing, release determines how long it takes to fade to silence. In this case, the envelope would be controlling the amplitude or volume of the sound, but they can control any parameter available in a modular synth. LFO stands for low frequency oscillator. Oscillators are one of the most important basic building blocks of synthesizers, because most of the time they are generating the sounds that you hear. Oscillators repeatedly fluctuate back and forth between positive and negative voltages, meaning that they are bipolar signals. These fluctuations are called cycles, and the size of fluctuation is referred to as amplitude. The rate or speed of these cycles is called the frequency, which is measured in Hertz, or cycles per second. If the frequency is fast enough, above 20 Hz, it becomes audible to the human ear. Low frequency oscillators generally inhabit the subsonic range below what humans are able to hear, but most can be sped up enough to be audible. LFOs are commonly used as sources of modulation in a Eurorack synthesizer to make a parameter rise and fall. For example you can use it to control the pitch of an oscillator, the cutoff point of a filter, or the amplitude of a sound. This brings up an important fact that is a big part of what makes modular synths so exciting. Audio can be used as a control source and some CV can be audible. A big part of what makes a Eurorack system fun is experimenting with connecting things and discovering what happens. Just be sure you’re connecting outputs to inputs and inputs to outputs! 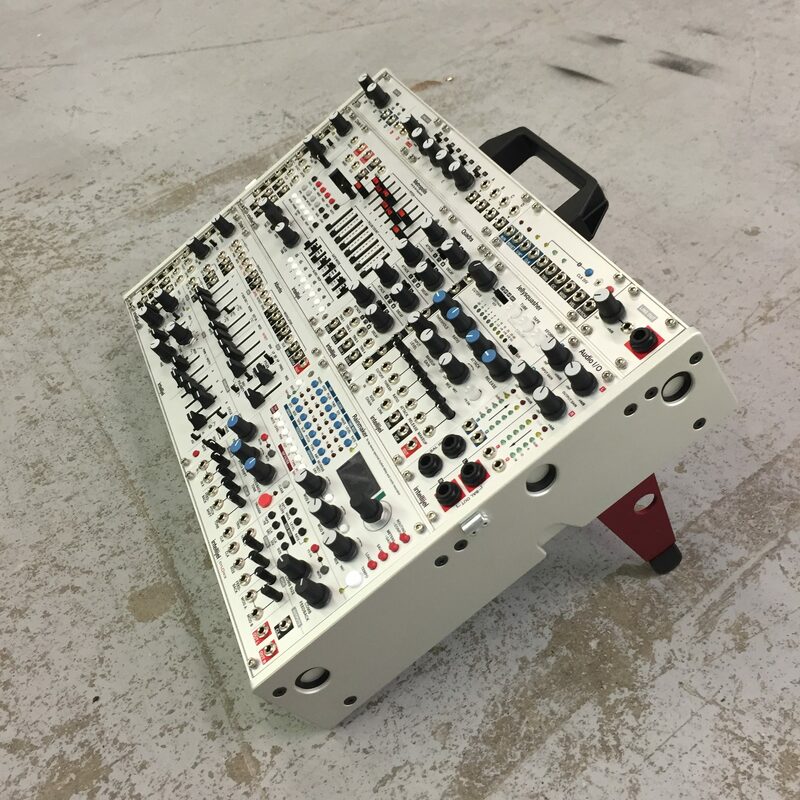 In order to start a Eurorack system, you will need a case and a power supply for your modules. Cases are measured horizontally in HP, which stands for horizontal pitch, or hole point. The two most common widths are 84HP and 104HP. 84HP is the same width as a standard audio gear rack, and some manufacturers provide basic rails and ears to mount your system in a rack which can be a very cost effective way to get started. Vertically cases are measured in rack units, or U, and Eurorack modules take up 3U of height. 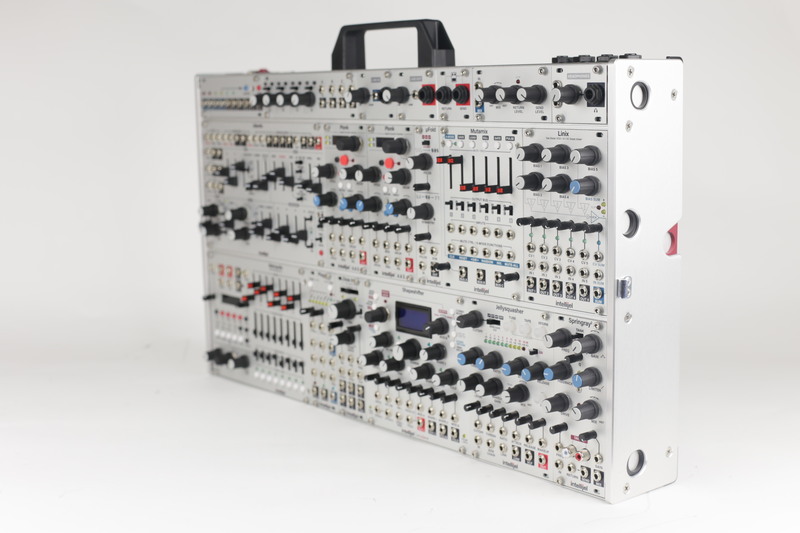 Intellijel also utilizes a 1U size format, and all of our cases come with a 1U row. For this reason, our cases come in 4U and 7U configurations while 3U and 6U options are more common. This smaller 1U space is great for utility modules and frees up space in the rest of your system. Modules are mounted in cases with screws that attach either to sliding nuts or threaded rails. Sliding nuts mean that you must position the nuts in the rail by sliding it into place before you attach your module, and make sure you don’t trap the nuts in an inconvenient place. Threaded rails are strips with evenly spaced threaded holes. 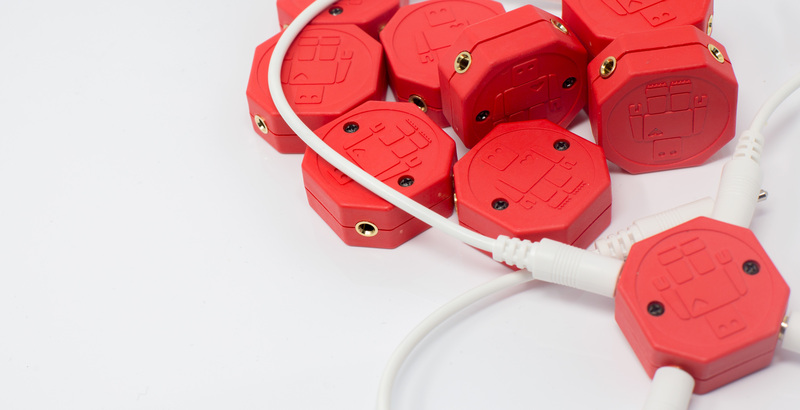 Meaning there’s always a mounting location available wherever you place your modules. Intellijel only uses threaded rails in our cases. Modules are powered by connecting their ribbon cables to the header pins on a power supply. Power supplies come in a number of different configurations. Some have a power entry module, others are integrated into the case. Some use flying bus cables which are cheaper, but prone to clutter and noise issues, while others use solid bus boards. All of our cases come with high quality power supplies using bus boards, and these are sold separately if you want to install one of our power supplies in an empty case or build your own. It’s also worth mentioning that our Meanwell Power Supplies can be used around the world with different power voltage standards. It’s important that your power supply sends enough juice to feed all of your modules. If you leave them hungry, they might not work properly or you could even damage them. Modulargrid is a great resource for planning your dream system. You can create a virtual rack as big or as small as you want, and then fill it with your modules of choice. Once you’ve arranged your rack, you can view a data sheet that breaks down and adds up the power requirements of all of your modules. Once you have a sense of how much power you need, compare that to the manufacturer’s specs on their power supply and make sure that it exceeds your requirements. You should also make sure that your power supply has enough headers to connect all of your desired modules. If you need more you can use a flying bus cable, however you may experience more noise through those modules. For this reason it is best to reserve the bus board for your audio processing modules, and use the flying bus cable for CV processors and other non-audio utilities. When connecting modules it’s very important to make sure that the ribbon cables are oriented correctly. The -12V connection on the power supply must match the -12V connection on the module. The red stripe on the ribbon cable should always connect to the side of the power header marked -12v or Red Stripe. Installing a module incorrectly could potentially damage it, so be careful to line things up correctly and consult the manual beforehand. Modular signal levels are a lot higher than the line level signals used by other synthesizers, drum machines and consumer devices. For this reason, you will want to make sure you have some way of attenuating or reducing the signal level before you send it to your speakers or headphones. If you plug a set of headphones directly into the output of an oscillator it will be really loud, and as a mono output will only produce sound in one ear. After doing something like that, you might only get sound in one ear permanently, so don’t do that. It is possible to connect your modules directly to a mixer or audio interface using ⅛” to ¼” adaptors. This is because Mixers and audio interfaces will provide the ability to attenuate the signal down to a level that you can record without distortion and monitor without damaging your ears or speakers. Intellijel and other manufacturers also have a number of modules that provide headphone outputs or balanced outputs that will eliminate potential noise issues in your signal. Some manufacturers even have modules with audio interfaces or digital connections to send audio or CV directly between the system and computer. 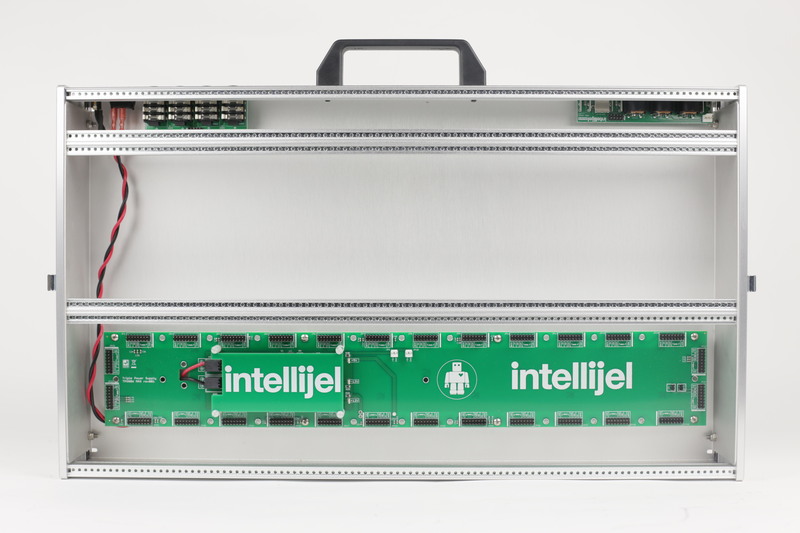 Intellijel offers USB connections in both our cases and a 1U module, but these are made for MIDI and not audio. Envelopes provide a contoured unipolar CV signal which is useful as a modulation source for VCAs, Filters, Oscillator pitch or pulse width modulation, and many other options. The most familiar form they take is ADSR, which stands for Attack, Decay, Sustain, and Release. Sometimes a Hold stage is added between the attack and decay phases, or they may be simplified with fewer steps. Envelopes take on some pretty funky forms in the Eurorack world that you don’t really see in fixed architecture synths, and they’re often referred to as function generators. For starters, a lot of them, including the Dual ADSR and Quadra can cycle or loop, which turns them into unipolar LFOs. Some, like the Quadra only provide attack and decay controls. The Quadra also has an expander that lets you modulate your attack and decay times. Quadra’s expander also provides end of cycle triggers, so events can be triggered after an envelope completes, or all four envelopes can endlessly trigger one after another. Oscillators are a critical part of a Eurorack system, and they can take on a number of different forms. They can be either analog or digital, and many, including all of the Intellijel oscillators, can toggle between audio and LFO ranges, allowing them to perform either function. As mentioned previously, oscillators fluctuate back and forth between positive and negative voltages. If they cycle with a frequency between 20 Hz and 20,000 Hz they will be audible, below that range they are considered LFOs, or low frequency oscillators. The shape that these cycles take is referred to as the wave shape, and this determines how it will sound. This is referred to as the Timbre of the sound. A sine wave is the most pure tone as it produces a single frequency with its oscillations. Other wave shapes introduce harmonics above the base frequency, or fundamental, which makes the timbre more complex. For example, a sawtooth wave has a harmonic at every multiple above the fundamental, with each harmonic half as loud as the one below it. Analog oscillators have a warm, musical character that makes them very desirable. Intellijel has the dependable Dixie, and the more complex Rubicon available as analog oscillators. Both of these simultaneously output a number of different waveforms, and have a selection of modulation inputs. Digital oscillators have a level of flexibility and recall that analog oscillators cannot offer. 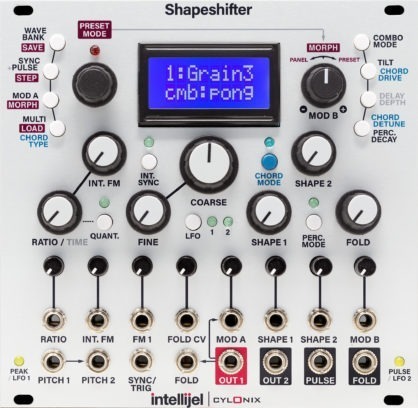 The Shapeshifter is our digital oscillator and it has a deep range of functions giving it a wide range of tonality. It’s actually made up of two oscillators that can interact with each other in a number of ways. It can even generate chords, and it can save and load presets. VCAs are another critical component of a Eurorack system. If you haven’t already, you’re going to hear people say, “You can never have enough VCAs”. So why is that? If you’ve used a fixed architecture synthesizer, you might be familiar with VCAs already. It stands for Voltage Controlled Amplifier, meaning they use a voltage signal to control the amplitude, or volume, of another signal. The most common way that they’re used, and the way that you see them implemented in fixed architecture synthesizers, is to control the volume of the final sound produced by a synthesizer using an envelope as the control voltage. You strike a key and the ADSR envelope of the VCA determines if that note will swell in slowly or hit abruptly, and if it will end as soon as you release the note, or ring out afterwards. While this is still a common way to use them, in a Eurorack scenario VCAs can be employed in a number of different ways. It’s important to stress that a VCA is using one signal to control the amplitude of another signal, and that doesn’t mean that it always has to be a CV signal doing the controlling, or that it has to be an audio signal being controlled. VCAs are helpful to shape modulation signals with envelopes. This can let you ease in an LFO to modulate pitch or filter cutoff with a slow attack. Or if you used a slow LFO to modulate an envelope, you could make your envelopes get slowly bigger and smaller. By using gates to open and close a VCA, you can mute and unmute CV signals to toggle their effect on and off. Amplitude modulation is a technique where audio rate signals are used to control the amplitude of another signal. For example, by fluctuating the amplitude of a sine wave faster than the frequency of the sine wave, the wave shape begins to change and new harmonics are introduced. Intellijel currently has three VCAs, the two channel µVCA, four channel Quad VCA, and six channel Linix. The signal path of these VCAs is set up so that they can also function as mixers. The Quad VCA has a cascading architecture so you can use one CV signal to control all four channels, and mix the four input signals down to a single output, or a stereo pair, or use them independently. Filters are another important part of a Eurorack system. Like its name suggests, a filter removes part of the signal, and lets the other part of the signal pass through. The type of filter determines what part of the signal gets filtered, and what passes through. The most common types of filters are low pass, high pass and band pass. Low pass filters let low frequencies pass through and filter out high frequencies, which can give things a sort of underwater quality. These are sometimes referred to as high cut filters because they are cutting the high frequencies. High pass filters do the opposite, allowing high frequencies to pass through while filtering out low frequencies. High pass filters are often used to create a rising sensation during the breakdown of a song to emphasize the bass drum once it kicks back in. Band pass filters are a combination of high and low pass filters. They cut the signal above and below the cutoff frequency, letting only a narrow frequency band through. Notch filters, or Band reject filters, do the opposite and remove a band from the signal, which can create a swishy effect similar to a flanger. The filter cutoff frequency is the point where the filtering begins to occur. By sweeping or modulating this cutoff frequency with various sources a huge range of timbres can be achieved. The number of poles, or slope of a filter determines how gradually or abruptly the signal is filtered beyond the filter’s cutoff point. A filter’s resonance, or Q refers to the amount of feedback applied at the filter’s cutoff point. This is sometimes referred to as emphasis because it emphasizes and exaggerates the filter’s cutoff point. Some filters have the ability to self resonate with high resonance or Q. This means that without an input signal connected, the filter is able to generate enough feedback at the cutoff frequency to generate a tone. This tone takes the form of a pure sine wave, which enables self resonating filters to also function as oscillators. All of Intellijel’s filters can self resonate and will track 1V/OCT. Intellijel has three dedicated filter modules, the µVCF, Polaris and the Morgasmatron. The Polaris has the ability to select between not just low, high, band pass and notch filters, but also between all pass filter and phaser modes. For each filter type, five different slopes are available and distortion can be toggled on and off to overdrive the signal. There are dedicated simultaneous outputs for the main three filter types and a MULTI output that follows the selected filter type. The Morgasmatron provides two filters in one module that can either be arranged in series or in parallel. Each filter can be toggled between two slopes of low pass, two of high pass, band pass, and band reject. It has an overdrive switch that can add some nice distortion, which has the added benefit of converting the clean sine waves of its self resonating state into fat square waves. Filters play a big role in creating the character of a synthesizer and the sounds that it makes. Clocks, gates and triggers are all binary signals, meaning that they toggle between on and off, or high and low voltage states. Clocks provide a regular on/off square wave signal used to synchronize sequencers and tempo-based effects. Gates and Trigs both remain off until activated, then flip on to trigger notes and other events. The difference is that gates can be sustained on, while Trigs are short momentary blips. Sometimes you want something to be synchronized, but to run at a different rate. This is where clock dividers and multipliers come into play. They do exactly what the name suggests and take an incoming clock and divide it or multiply it to create a synchronized signal at a different, but related rate. Drum sequencing is an obvious and easy to demonstrate example of this. If we feed a clock into Plog’s Toggle input, we get a signal divided by two from Out T and a signal divided by four from Out D. We can use these divided clock signals to set up a basic kick and snare rhythm and use the original clock signal for a hihat rhythm. 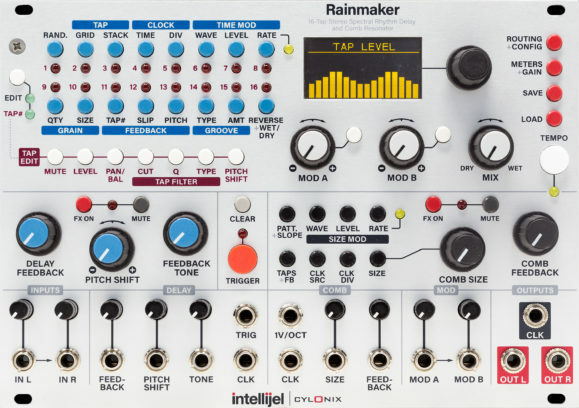 A few Intellijel modules, like Metropolis and Rainmaker have clock dividers built into them, so they can interact in sync with greater flexibility. Clock dividers can even be used to divide an audio signal and produce sub octave square waves. As redundant as this may sound, sequencers are devices that play sequences. This can be a melodic series of notes, raw voltages, rhythmic gate or trigger patterns, or some combination of all of the above. The length of a sequence is usually measured in steps, and a step will usually correspond to a musical length of time such as a sixteenth note. The sequencer will advance step by step through the sequence in time with the clock signal and reset once it completes all of the steps. As it passes through each step, it will output whatever parameter has been set for that step. For example, each step might have a note from the major scale, so as the sequencer strides through those steps it will play a melody. Some sequencers are able to be reset through trigger inputs to ensure they start at the beginning of their pattern in tandem with other sequencers. In order for sequencers to remain synchronized once they begin playing together, they will need to share a common clock signal. In order to set this up, one sequencer will be assigned the “Master” and will run on its own internal clock. The Master then outputs its clock to any other sequencers that will then be set as “Slaves”. 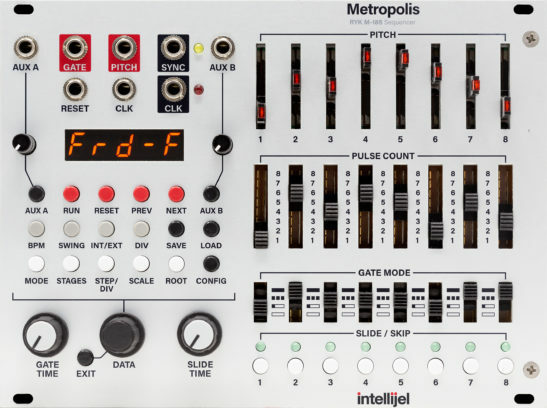 Sequencers take many forms in the world of Eurorack as they are a very important part of making electronic music, and Intellijel provides a few options. Metropolis is our feature-rich flagship monophonic sequencer inspired by the Roland Ryk M-185 System 100m. It’s capable of producing a plethora of melodies through either careful or careless manipulation of its sliders and switches. More recently, Intellijel released Steppy in both 1U and 3U formats along with Scales. Steppy is a four channel gate sequencer. As such it was made to produce rhythms, and not melodies. Scales, on the other hand is all about melodies. Technically, Scales is a Quantizer but it does have a monophonic sequencer mode built into it based on the Roland SH-101. A quantizer takes an input signal and adjusts it into a constrained output. In the case of Scales, it quantizes the input into the selected notes of a scale. This means that any input signal can be made musical. You may have heard of the term sample rate in regards to audio. This is a big part of how we create digital audio from an analog signal. During recording, samples of the audio are taken to measure how much amplitude it has at a given point in time. Then when these samples are played back at the same rate it reproduces what we recorded. Most audio is recorded at 44,100 samples per second because this was determined to be the minimum resolution required to accurately reproduce the upper range of human hearing (20,000 Hz) according to something called the Nyquist theorem. Sample and hold follows a similar principal, only in this case we are able to vary the sample rate, and the samples are output as voltages. Whenever a gate signal is received, a sample is captured of the source’s current voltage level. Noise Tools uses white noise by default as the source for its sample and hold input. The Pulse rate knob, and the Clock/Random switch determine the timing of the sampling. Then the held value is output from the HOLD output. Since white noise is a random flurry of frequencies, the result is a sequence of random values. Using an LFO as the input will result in stepped values. Using an audio signal as the input lets you play around with sample rate reduction effects. Remember that audio usually uses a sample rate of 44,100 times per second? Sample and hold allows you to play with reducing that sample rate, which can achieve lo-fi sounds reminiscent of old samplers and video games. This is because they used lower sampling rates to conserve valuable memory and CPU resources when technology was not as powerful as it is today. Because CV signals like square waves, gates, and clocks produce binary on/off voltages, they can be used in Boolean logic equations, or operations, which form the foundation of computational data and processing. While that might sound daunting and intimidating, these equations are pretty simple and don’t require a math degree. Usually they take two inputs and compare them to produce an output which will depend on the logic type being used. The first logic operation we’ll look at is called AND. All this means is that if all inputs are high, the output will also be high. This is useful if you want something to always trigger in sync, but have some variation. Next we have OR, where if one input or another are high, or both, then the output will be high. This is useful if you have a number of gate signals that you want to combine and send to one source. Intellijel offers a 2HP module made just for this purpose. Then there’s NOR, which is high if neither one nor the other is high. While thinking of it as nor is convenient in this case, it really means negative OR, meaning that it is the opposite of OR. Thinking of it this way will help make more sense of NAND, which is negative AND. NAND will be high unless all inputs are high, exactly the opposite of AND. XOR is exclusive OR, meaning that it goes high if one input is high, but not if all inputs are high. Lastly, XNOR is the opposite of this, and goes high if all inputs are high or if all inputs are low. As you can probably imagine, these different logic types can interpret incoming gates into a number of different rhythms to trigger events in your system. 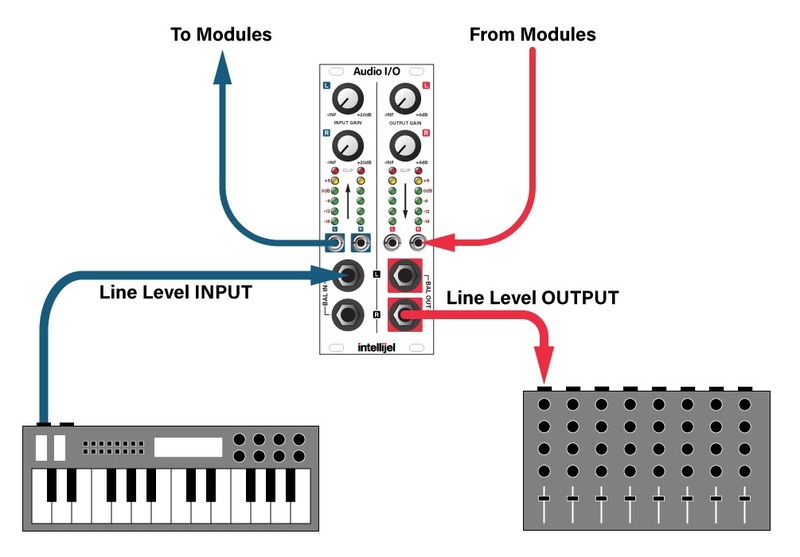 With Plog, you can even select between these logic types with CV modulation. As you read this article and look at some of the Intellijel module panels, you have probably noticed that some of the jacks have solid black or coloured boxes around them while others do not. Solid boxes are there to indicate outputs, versus inputs which do not have these boxes. This makes it much easier to see where your inputs and outputs are on your module. This is not a universal standard, just a visual system that Intellijel has adopted, so this will vary with different manufacturers. You might even find that some brands seem to intentionally make it difficult to tell what a jack does, or even if it is an input or an output! You might also have noticed that many of our modules have small arrows between some of the jacks. This is to indicate something called Normalling, which is a connection from one jack to another that can be overridden when a cable is inserted into the jack at the end of the chain. Usually accomplished with a mechanical switch inside the jack, this means that the input of one jack by default feeds a second jack, but if something is connected to the second jack this replaces the signal from the first jack. Making a connection to override a normalling path is often referred to as “breaking the normal” and has nothing to do with breaking your module or the jacks. For example with the Rainmaker below, IN L is normalled to IN R, and MOD A is normalled to MOD B. Therefore, if a signal is connected to IN L it will also feed IN R, and if an LFO is connected to MOD A it will also control MOD B. Normalling can be helpful to reduce the amount of necessary patching or multing to set something up in your system. 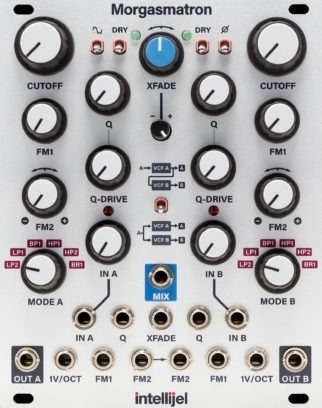 You may have noticed that many of Intellijel and other manufacturer’s modules have little black knobs above many of the inputs. These are called attenuators, or attenuverters if they are bipolar, and they serve to control the amount of signal sent to that input. You’ll often find that if you use the full range of modulation of a CV signal, the results are quite wild and unruly. By attenuating that modulation signal you can tame it into a more subtle range. Attenuverters can control both the amount and polarity of an incoming signal, meaning you can flip a positive envelope to provide negative modulation. Intellijel’s 2HP Quad Inverter is able to invert the polarity of up to four incoming signals. While many Intellijel modules have useful attenuators or attenuverters on their CV inputs, we also offer dedicated attenuverter modules like the Triatt and Quadratt. Or you can use a VCA as an attenuator. Quadratt’s inputs are normalled with a 5V signal allowing it to be used as a voltage offset to change the range of an incoming signal. Quadratt sums its outputs from left to right, so if you plug something into an input, then take its neighbour’s output, the first knob will control the amount and polarity of input signal, while the second will offset the range of that signal. This is great if you have a crazy random incoming mess of CV that you want to tame into a specific range. If you’ve worked with audio in any capacity, you’ve probably come across some sort of mixer at some point. Naturally mixers also appear in the Eurorack domain as it’s often necessary to blend or sum signals together in order to process the blended sound or output it to speakers. Intellijel has a few mixer options available with some features that make them particularly useful in a Eurorack setting. For example the Mixup can take up to six channels and output a stereo mix, with volume controls for three inputs. They can also be chained together. While mixing audio signals together is obviously important and necessary, in a Eurorack system mixing CV signals together is often a critical but also expressive process. Many of our mixers are able to handle both audio and CV signals with some interesting and helpful tricks. Triatt and Quadratt are able to blend signals, but also invert them, which can be useful for creating interesting timbres with your oscillators or complex modulation. Mutamix is able to use gate and clock signals to trigger muting of its six input channels, which can be routed to three bus outputs. The 2HP Unity mixer can either sum two sets of three inputs, or one set of six. Often when creating a patch, you’ll want to send a signal to more than one destination at once. This is where multipliers, or mults can be very useful. Mults come in two flavours: Passive and Buffered. Intellijel provides these in both 2HP 3U modules and 14HP 1U modules, as well as our handy little Hubs. Passive mults don’t require any power, but buffered mults will need to be powered, so they can also be considered active mults. Buffered mults provide a perfect copy of the input signal, however with passive mults there will be a small drop in voltage caused by the input and output impedance of your modules. For this reason you should avoid using passive mults for more critical and precise applications like sending pitch, or you might find that your oscillators detune. Sometimes it can be useful to use a buffered mult between modules even if you are not multiplying the signal. This can often resolve issues related to using semi modular synthesizers like the Microbrute and Mother32 with Eurorack systems. Before you jump in and start buying modules, it’s a good idea to first stop and think about what kind of system you want to make. I often recommend people take a look at what they already have in their studio, and think about what they feel is lacking. Usually when a person is wanting to make the jump into Eurorack synthesizers they already have some experience with software or hardware synthesizers, and may own one or more pieces of gear. In that case, designing a system to complement or contrast what you already have probably makes the most sense. Deciding on a general concept for your first system can be a helpful way to narrow down the vast selection of available modules. Will it be a sequenced monosynth, a west coast noisemaker, a polysynth, a drum rack, an effects unit, a control processor for another piece of hardware, a generative music machine, a live performance rig, or something else entirely? What kinds of music or sounds do you hope to make with it? Which leads to the question: How much space will you need? And the follow-up question: What is your budget? Deciding on the answers to these questions can provide a helpful starting point which will help you target your research more specifically. Spend some time on Muffwiggler, Reddit, Youtube, and on the Facebook Eurorack groups asking questions and reading people’s thoughts, because you’re bound to find some input that strikes a chord with you. Use modulargrid.net to plan a system or three and share the images to see what people think and recommend. Just remember to take people’s opinions with a grain of salt, because at the end of the day you’re building your own system and you should make it the way you want it to be. Of course, your plan will undoubtedly change throughout the lifespan of your system, but that’s another part of the fun of Eurorack. I would also recommend starting small, with just a few modules. If possible, build a basic synth voice of a VCO, VCF, VCA, and a function generator. 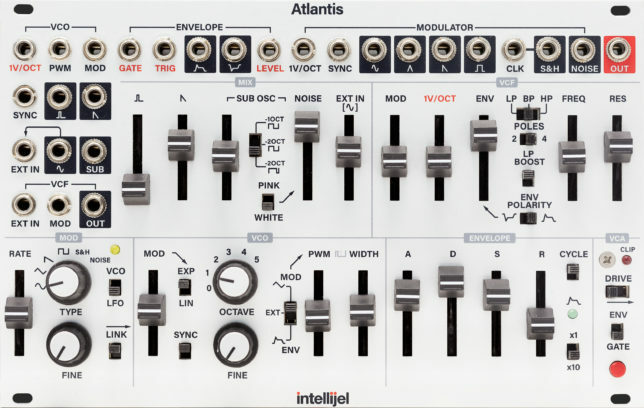 Or with Atlantis and Plonk you can get a full synth voice in one module. Starting small not only makes more sense financially, but it also helps you to better get to know the modules you have without being overwhelmed by the possible options of a rack full of modules. Creative limitations can inspire some unique ways of using modules that you might not find if you had all the tools at your disposal. While it can be good to start small in terms of modules, you don’t want to restrict yourself on your case size. It’s a good idea to buy a bigger case than you think you’ll need, because let’s face it, you’ll probably want the space eventually as your system changes. It’s more cost effective to buy a bigger case to begin with, than to buy a small case and then another case once you outgrow it. You might have already come across the dichotomy between the so-called East Coast and West Coast schools of synthesis, but here’s a quick summary. East Coast generally refers to Robert Moog’s approach to synthesizer design, which uses subtractive techniques. That is, oscillators are blended to create a rich and complex sound, which is then filtered to refine the desired tone. Subtractive methods are great for creating musical tones that mimic real instruments like brass instruments, flutes, and woodwinds. Moog’s East Coast synthesis was popularized through his instruments and the people that played them, which caused other manufacturers like Roland, Korg, and Yamaha to adopt this method. West Coast synthesis was largely developed by Donald Buchla. Part of his approach was to take a simple source like a sine wave oscillator, then make it more complex through techniques like wave folding, low pass gates, and audio rate frequency modulation. Buchla was less concerned with emulating existing sounds and instead wanted to explore new timbral territory. 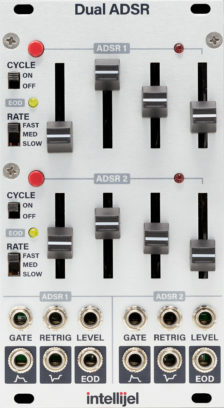 The flexible nature of Eurorack synthesizers allows them to straddle the two approaches and take advantage of both techniques.